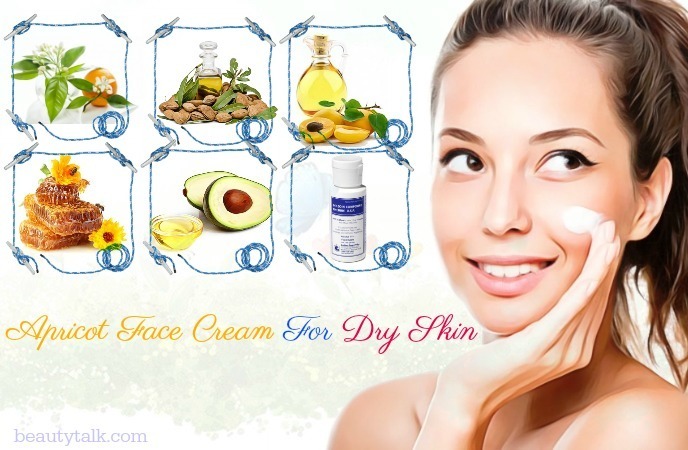 If you have a dry skin type, it is really difficult to keep it properly moisturized all time, especially in the winter. Have you ever made a homemade face cream? 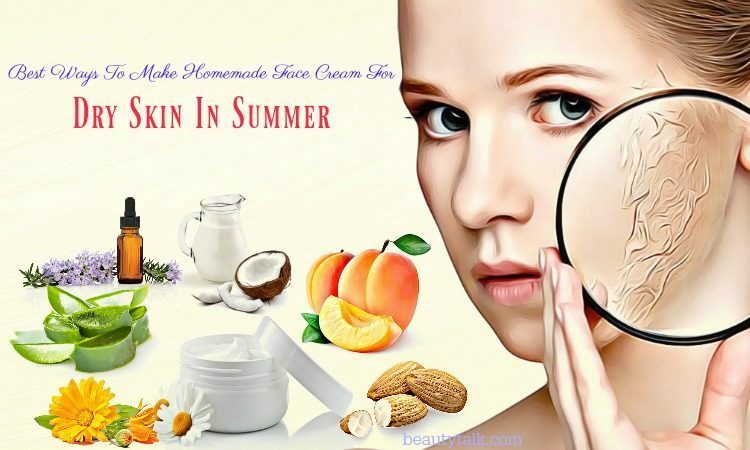 Of course, you may buy commercial products from the market, but homemade face creams contain natural ingredients and they're extremely safe to use. In fact, some of the moisturizers, which we use in the winters, have harmful chemicals. 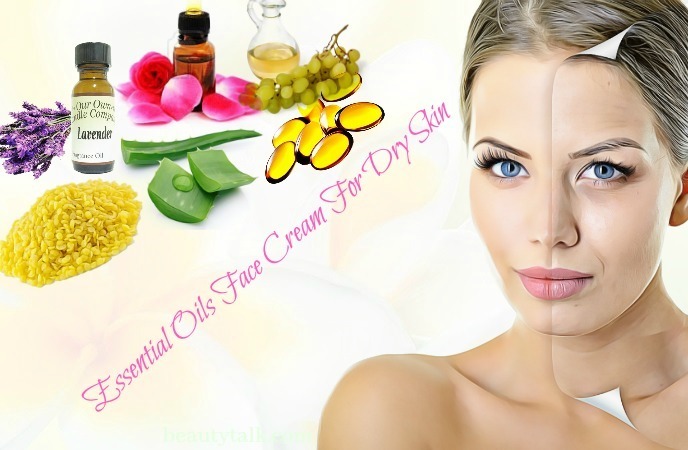 You can sidetrack these elements easily as you make a homemade face cream for dry skin yourself. Moreover, making a face cream at home is actually easy. You just prepare several common types of ingredients in your kitchen to get it. Today, Beautytalk.com shares the best recipes with you as remedies for dry skin. Using only natural ingredients, the organic face cream recipes are free from parabens and many other nasty chemicals. These face moisturizers will aid in rehydrating the skin and restoring the lipid functioning barrier, which gives you a smooth and radiant skin complexion. Olive oil is loaded with vitamin E, a powerful antioxidant that helps to protect the skin from environmental factors such as the wind and sun rays. The healthy fats in this oil moisturize your skin and prevent it from the dryness. It also seals moisture in your skin by forming a protective barrier on the surface of your skin . In addition, the anti-aging effects of olive oil reduce wrinkles and fine lines, a common problem related to the dry skin. Olive oil also promotes the renewal of skin cells, which removes the dry and dead skin cells. 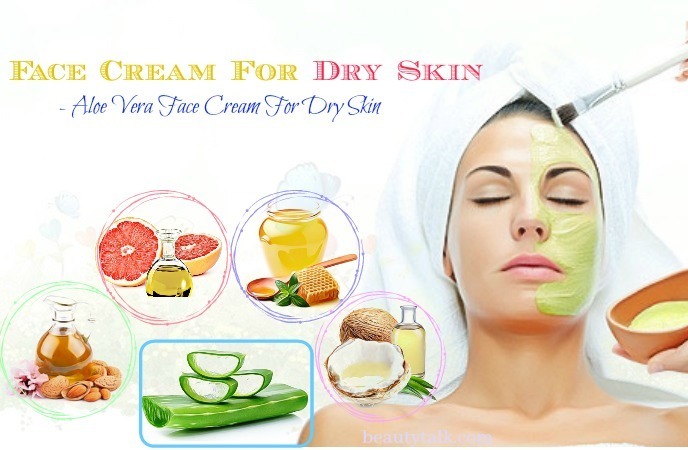 Moreover, it smoothens out the rough texture of your dry skin. 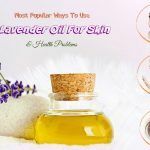 This homemade face cream for dry skin creates a barrier that helps to keep your existing hydration in your body and protect you from a drying effect of washing. Firstly, mix olive oil, beeswax, and coconut oil in a large jar. Then, put the jar in a clean saucepan and fill this pan with purified water until it reaches 3/4 of the jar capacity. Next, put the jar on the stove with a low heat. Heat and stir it for about 5 minutes or until it has melted. Now, empty the hot water from this pan and then pour cold water into it to the same level. Place the jar back into the pan. After that, add orange oil to the jar if you are using. Finally, quickly whip these ingredients into a moisturizer with the help of an electric whisk. Or, you stir it well with a fork. You may need to stir this mixture every 5 minutes until its texture is creamy and thick. Note: When you apply it, it may feel a bit greasy first. You have to rub it in and then it will absorb within one minute unless you have used too much. Aloe vera gel contains anti-inflammatory and antifungal effects that heal the dry skin problem well. With 90 percent of water, this succulent gel helps to soothe the skin, which reduces itchy irritations and red patches caused due to the dryness. In addition to water, aloe vera gel contains antioxidants, minerals, vitamins, enzymes, and active ingredients that aid in nourishing the skin and providing a deep moisturizing effect . Although the gel is sticky, it may help to moisturize the skin without leaving a greasy feeling. Moreover, aloe vera gel is a perfect treatment for a rough skin. Apart from dry skin, it even helps to maintain the natural oil content for an oily skin complexion. Firstly, melt the coconut oil, almond oil, and beeswax by using a chocolate melter or double boiler. Then, pour the melted mixture into your blender and let it cool down before blending. It may take about 75 minutes. If you don’t cool it down, it will separate later. Now, mix the grapefruit oil with aloe vera gel. After that, fire up this blender. Slowly add the aloe vera gel to the blender when it whips. You will get a light and fluffy white lotion texture. Finally, you have made your own face cream! Store it in a small container and put it in the fridge. Remember that the cream has a shelf life. Avoid using anything that smells/feels/looks wrong. Almond oil contains a high source of fatty acids that serve as an excellent emollient for your skin. It also helps lock moisture in your skin by forming a protective layer. Emollients are very effective for some of the conditions such as acne, eczema, rosacea, or psoriasis. In addition, almond oil has the ability to keep your skin hydrated. Almond oil acts as a natural exfoliator to help to eliminate the dead cells from the skin and stimulate the new skin cell growth. Firstly, melt the shea butter in a double boiler over medium-low heat. Then, add the almond oil to it. Turn off the heat. Next, pour the mixture into a bowl. Place it in the fridge and cool it down. Return to a solid form. This may take about 15 to 20 minutes. Once it is opaque and slightly firm, take the bowl out of the fridge. Add the essential oils to it if you use them. Using a whisk attachment on the mixer, whip this mixture well. You may also use a fork or whisk versus a mixer. This may take just several seconds. Avoid over-whipping it. Finally, scoop it into a jar and then store it at room temperature. To use, apply it to your face and body as desired. Coconut oil contains healthy fats that are beneficial for moisturizing the skin, forming a protective layer on your skin to prevent the dryness and flaking. It also penetrates deep into your skin while it gets easily absorbed by your skin to moisturize it. The saturated fats in it help to keep the moisture level of your skin, which gives you a healthy skin. In addition, coconut oil acts as a sunscreen and reduces the dryness and damage caused by exposure to the weather or sun . 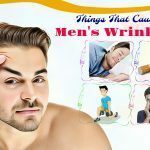 It effectively removes the appearance of wrinkles and helps to strengthen the connective tissues. 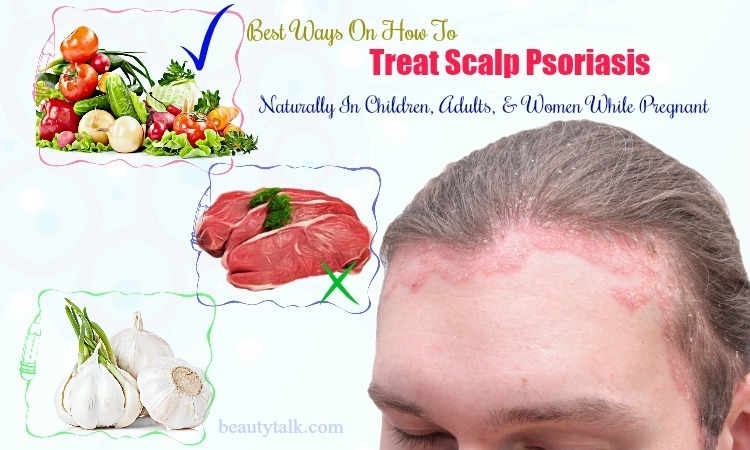 Besides, it contains antiseptic, anti-inflammatory, and antimicrobial properties that aid in treating any microbial action on your skin and soothing it. The vitamin E present in coconut oil is beneficial for repairing the dry, damaged skin thanks to its nourishing and hydrating properties. Meanwhile, its antioxidant property is effective in fighting against free radicals and thereby moisturizering your dry skin. Simply, place a jar in a bowl filled with warm water and then put the coconut oil in it to melt it. Then, mix it with the vitamin E and Lavender essential oil and keep it aside. After that, whip it with a fork. When the coconut oil solidifies, you will end up with a homemade moisturizer. Grapeseed oil is light and nice, and it will leave the skin feeling smooth and soft. It has a light smell that will not be noticed when it has been applied to the skin. In addition, the fatty acids and vitamins C and E make this oil an excellent emollient. It helps to get rid of stretch marks as well. The restructuring properties of this oil help the skin keep its normal structure, which diminishes the appearance of lines and stretch marks. Moreover, the linoleic acid can aid in the treatment of eczema. 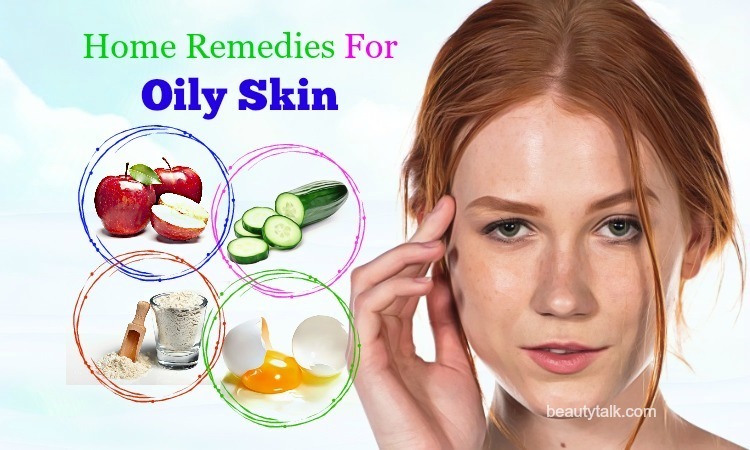 The oil also works as a natural moisturizer, which balances the dry and oily patches on your skin. As a toner, grapeseed oil can penetrate pores on the skin and cleanse your skin, which helps to treat breakouts. Vitamin E oil – about 1/4 tsp. Blend the oils well in a glass saucepan and then warm the mixture on the very low heat. In a double boiler, heat the beeswax pastilleson low heat until they have melted completely. Blend the aloe vera gel and rose hydrosol together in a bowl with a small whisk. Prepare several glass jars with lids. Firstly, take half of the oil mixture and then pour it into your double boiler that you have pre-heated. Add 1/4 ounce of the melted beeswax and stir it gently. The mixture should be completely liquid; so if you see the wax is beginning to harden and the water in the double boiler is not warm enough, you should raise the heat and stir slightly until everything is liquid again. In an upright blender, combine 6 ounces of the aloe vera mixture with vitamin E oil and lavender essential oil. Now, remove the lid of the blender, turn it on low and add the oil/beeswax mixture slowly to the center of the spinning combination below. Remember to pour it in a slow, thin stream. 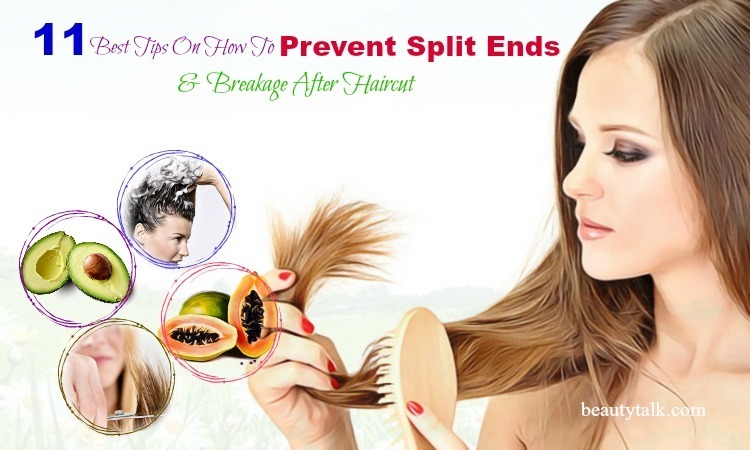 This ensures that these ingredients emulsify smoothly and do not clump up. The face cream will look weird until it begins to thicken. However, the sound of the blender will change into a lower pitch when the ingredients are thicker and creamier. Now, turn off the blender and scrape the inside of your blender and around the blades with the help of a spatula. Use your spatula and clean spoons to pour the cream into the jars. Label these jars with the date when you created them. If you keep these jars refrigerated, they will last for a year. If you notice that the smell of the cream is wrong, discard it immediately. 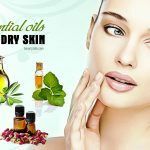 See more: Top 7 essential oils for dry skin treatment: why & how to use them? Coconut milk is packed with fatty acids that aid in moisturizing your skin. It will make the skin feel incredibly smooth. Moreover, the vitamins C and E in coconut milk are antioxidants that are beneficial for protecting your skin. This homemade face cream has eucalyptus and peppermint essential oils. These oils are natural antimicrobial agents. This means that they help to kill bacteria. Hence, this homemade face lotion is great for people with an acne-prone skin. Witch hazel – 1 tbsp. Firstly, place the coconut milk in your fridge overnight. In the next day, you scrape it out of the can. Then, add it to a bowl. Now, mix it well with the help of a hand mixer for 30 seconds. After that, add the essential oils to it. Finally, apply 1 tbsp. of the cream to your face. Keep it for several minutes and then rinse it with water. This homemade face cream lasts several weeks to one month in the fridge. You should use the coconut milk that is organic and free from BPA. When you rinse the face with water, it feels a bit oily. Nevertheless, when you pat it dry, it won’t feel oily at all, and it is just incredibly soft. Avoid applying the homemade face cream to the eyelids. When rinsing the face, you should wipe it away from the eyes. This homemade face cream is wonderful for people with a dry to normal skin. Apricots have excellent sources of vitamin A, B vitamins, vitamin C, and lycopene, all of which make them great for your skin. 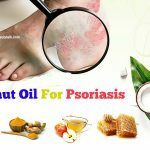 Its skin-softening properties can be thanks to its high source of vitamin C. It is a wonderful moisturizer for skin and it can treat a damaged skin without any side effect. Apricot oil is also beneficial for a dry, irritated skin due to its high content of vitamin A and fatty acids. Its moisturizing effects keep your skin hydrated and fight drying effects related to exfoliating your skin, which provides you with a softer and healthier skin. This oil is also rich in Gamma Linoleic Acid (GLA), which helps to maintain the balance of moisture on the skin. This beneficial acid aids in keeping the skin firm and toned. The vitamins E and A in the oil also help to delay the signs of skin aging because they may keep it well-nourished. In addition, apricot oil has anti-inflammatory effects that help to treat and soothe skin conditions such as eczema. It also contains antioxidant properties that are effective in fighting the damage caused due to free radicals. Firstly, add the beeswax and oils to a glass bowl and then place it in a bathtub filled with hot water. When these ingredients have melted completely, remove it from the bath. After that, add the benzoin and orange flower water to it and beat them vigorously until it is cool completely and solidified into a real cream. Finally, place it in a jar, cover it, and refrigerate it for use. Dry skin not only makes you look unattractive but it also results in premature aging. The restorative properties of calendula deeply hydrate your skin, heal a damaged skin, and make it suppler and younger. In fact, this herb is safe so that you can use it in the delicate areas such as the eyes. In addition, the antibacterial properties of this herb help to clear bacteria in the pores that may cause acne outbreaks. 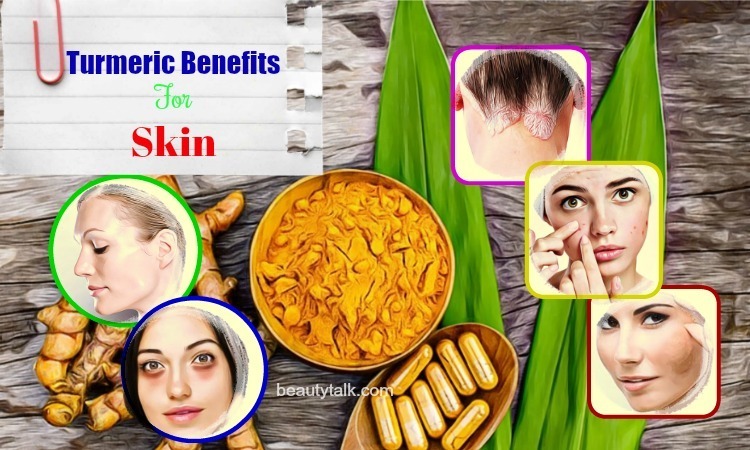 The herb effectively helps to get rid of a dry skin. It gives your skin a younger and glowing look. 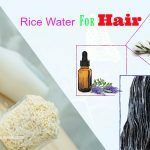 It also moisturizes your dry skin, helps to remove old scars, cures post-operative injuries and bruises, and treats diaper . Moreover, this herb contains natural regenerative effects, which makes it perfect to treat minor wounds and cuts. Firstly, make the calendula tea. Strip off the calendula petals and then place them in a cup. Pour hot water over these petals and allow it to steep for 60 minutes. Next, squeeze the moisture out of these petals when taking them off the water. After that, put the beeswax into a double boiler and then add the almond oil to it. Melt the beeswax over low heat, stirring it constantly to combine these ingredients. Now, take it off the heat and then dissolve the borax in your calendula tea. Slowly pour it into this wax/oil mixture, whisking it constantly. It turns milky and thicker, continue whipping while it cools. Once it reaches a thick consistency, pour it into glass jars or pots. 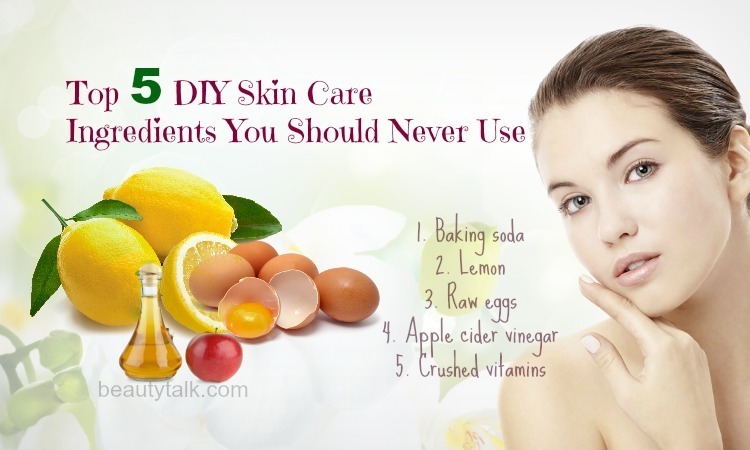 Here are top 8 simple recipes on how to make homemade face cream for dry skin that you can try at home. 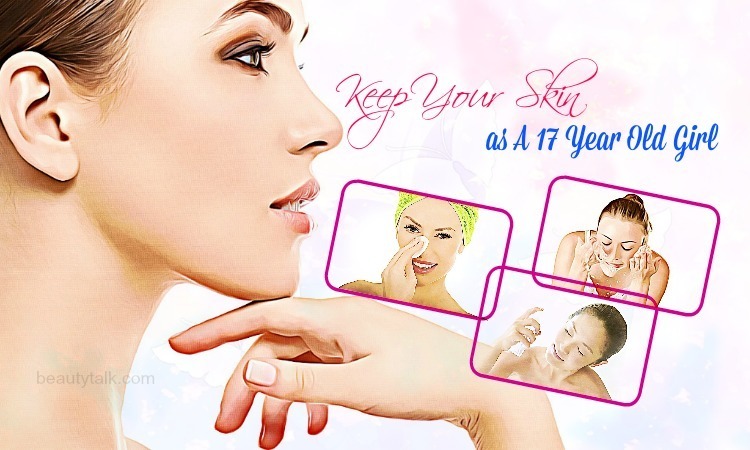 If you want to get more information about skin care, please visit our main Skin Care page.